A north London law firm has been rebuked for misleading its client into thinking that it had made a visa application on his behalf. Amirthan & Suresh, based in Wembley, was also fined the maximum of £2,000, and ordered to pay costs of £600. 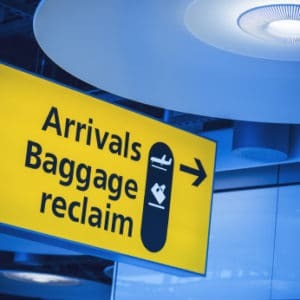 The Solicitors Regulation Authority said the firm failed to make the application in a timely manner to the Home Office, misled its client into thinking that the application had been made, and failed to notify the client that the omission could give rise to a claim against it. The firm was also found to have lost two passports and a marriage certificate belonging to the client and his wife. In other recent disciplinary matters, Southport sole practitioner Christopher Newton accepted a rebuke and fine of £500 in a regulatory settlement agreement with the SRA after the regulator found that client reconciliations were not carried out every five weeks, there was an improper withdrawal of £100 from client account, which was only rectified after being identified by the SRA, that interest on client account was not transferred to office account, and the firm’s 2014/15 accountant’s report was submitted nine months late. Admitting the breaches, Mr Newton also gave an undertaking to enrol on an accounts rules training course within three months and provide evidence to the SRA that he has attended. In another regulatory settlement agreement, Shiva Vinay Misra, sole principal of Crown Solicitors in Bilston, also accepted a rebuke and £2,000 fine for accounts rules failures. It said that due to mis-postings and duplicated payments between August 2014 and January 2016, a £10,860 shortage in client account was created. Further, some bills Mr Misra raised were not recorded on the office side of the client ledger, resulting in office account credit balances on those ledgers; transfers out of client account totalling £10,660 were recorded against a suspense ledger and it could not be identified to which client matter they related; the firm did not carry out bank account reconciliations as often as once every five weeks and when they did do them, they only compared the balance on the client ledgers with that on their client bank account, rather than the firm’s cashbook; the reconciliations were undertaken by the firm’s bookkeeper and Mr Misra did not review them; and Mr Misra did not maintain a register for recording accounts rule breaches. Mr Misra replaced the client account shortage in full on 10 March 2016 and corrected the deficit on the suspense ledger a few days later. In deciding on the sanction, the SRA took into account the solicitor’s mitigation that there were no issues of dishonesty or lack of integrity regarding his dealings with client money, he had rectified the problems when they were raised with him, and he had undergone further training on the accounts rules and the role of a compliance officer for finance and administration. Meanwhile, over at the Bar, Nicholas George, called in 1983, has been fined £1,500 by a disciplinary tribunal after it found that while bankrupt in 2012/13, he received over £41,000 of pre-bankruptcy professional fees that were owed to him but did not then pay them over to his trustee in bankruptcy. This was even though insolvency law was one of the areas of law in which he practised, and he acknowledged to the trustee that he was obliged to pay the money over. The decision is currently still open to appeal. Finally, in a determination by consent – the Bar Standards Board’s equivalent of a regulatory settlement agreement – unregistered barrister Reuben Pandey, called in 1996, was reprimanded after being convicted of assaulting a man and woman, and of using threatening or abusive words or behaviour or disorderly behaviour within the hearing or sight of a person likely to be caused harassment, alarm or distress. Having been convicted in July 2014, he then failed to report the convictions to the Bar Standards Board until March 2016, which was also a breach of the rules.